A 1950s era Pontiac hood ornament. I seldom pass up a chance to photograph automobiles at local cruise-ins and museums such as the Western Reserve Historical Society’s Crawford Auto Aviation Museum and the Museum of Speed, which has since closed. I don’t generally photograph the entire auto, but instead focus in on the iconic hood ornaments and logos that our American automobile culture has become so familiar with. The photo above brings back memories of my childhood as a Cub Scout, identifying automobiles from my grandparent’s high rise apartment in order to earn a merit badge to wear on my uniform. Unlike so many of today’s automobiles that look so much alike, the autos of the 50s had distinctive shapes, designs and features which set them apart from one another. The Pontiac met it’s demise recently and is no longer produced, but its iconic Chief Pontiac logo and hood ornament lives on in many of our minds. 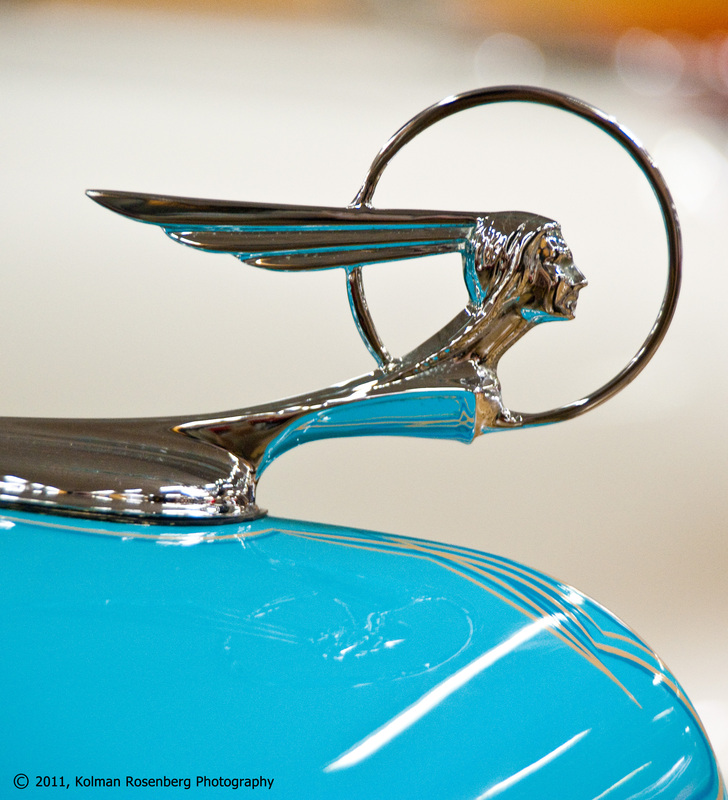 The photo below shows another version of the Chief Pontiac hood ornament that I don’t remember. I’ll have to do some research to find out what year this hood ornament came from. If anyone has a clue, feel free to comment on the blog. I could use some help figuring this one out! 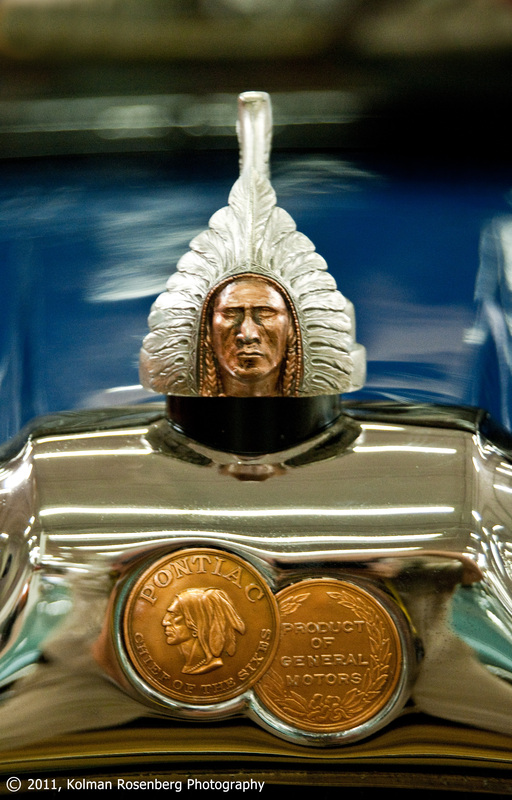 Historic Chief Pontiac hood ornament at the Museum of Speed. This entry was posted in Uncategorized and tagged automobile, chief, cub, general, historical, icon, motors, pontiac, scouts, society, western reserve. Bookmark the permalink. Glad you like it, thanks Carole! Will do Mark. Thanks for your comment!